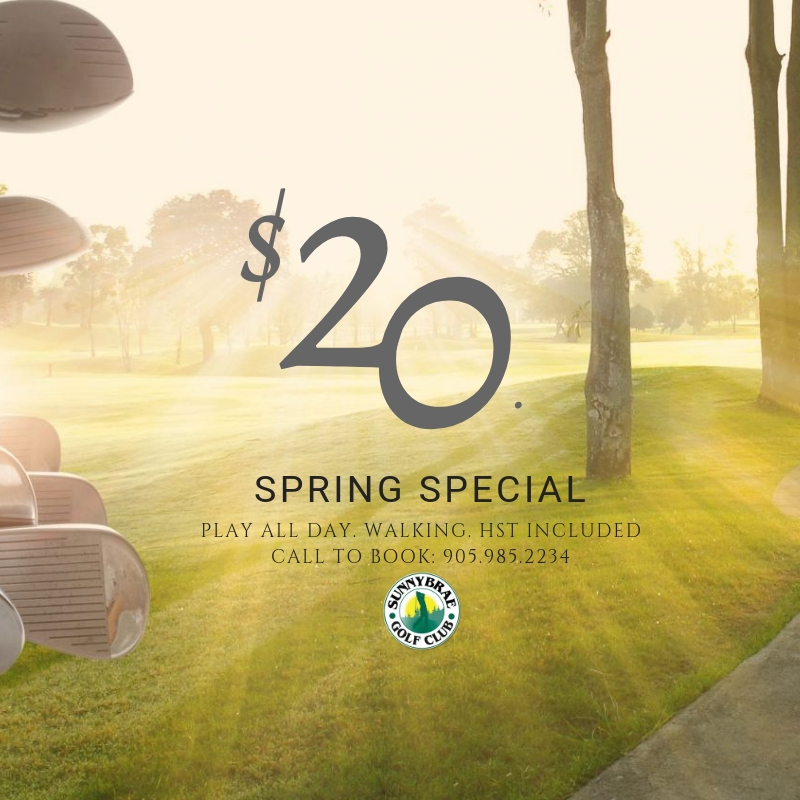 At Sunnybrae Golf Club, we offer GREAT GOLF & GREAT VALUE! Our affordable Green Fees are just part of why we were voted the Reader’s Choice Awards Best Golf Course! Thank you. Tee times may be booked up to seven days in advance. Golfers must be properly attired in shirts with sleeves (Women’s sleeveless golf shirts are acceptable), long pants or tailored shorts, soft spike golf shoes or running shoes. Cut offs, gym shorts, sweat pants and tank tops are not permitted. Thank you. Sunnybrae Golf Club is a licensed facility through the L.C.B.O. Only alcohol products which have been purchased at our facility may be consumed on the property. It is unlawful to bring in any outside product and any violators of our alcohol policy may be asked to leave the premises without refund.